and you have all the synonyms and antonyms that go with each word on this list of descriptors which itself is only a start. The more challenging special effort of design is to align the cost of the design with the budget. Here we are talking about the whole building design which is not just what you can see but everything you can’t see as well. It’s a combination of every architectural element along with every engineering system and component that comprises the total project. These architectural and engineering elements influence the design solution of each other as they become intertwined in the building. So what is the budget. For us its Webster’s 5th of 5 definitions; “the amount of money needed or allotted for a specific use.” There is some real ambiguity for design in the words needed and allotted. 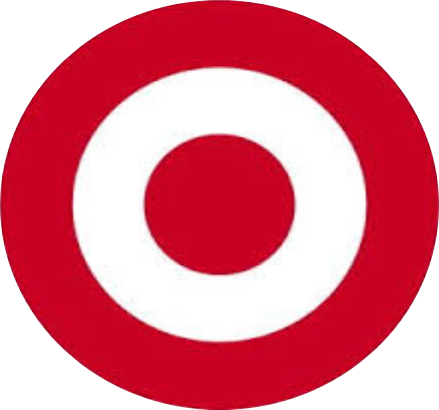 Sometimes the design and the budget play a game of chicken and egg, cart and horse. There is often a struggle to properly define the budget. There are times when the design comes first as a means to define the budget in which case the design needs to be able to respond to owner reactions whether it’s too much or can be greater. Experienced owners will tend to have a rough idea of how much building they need and how much that might cost (perhaps per square foot) and can arrive at an initial building budget. Less experienced owners rely on the design team to help them establish the budget. This brings into play defining needs to some level, defining quality and defining cost. This then brings into motion a whole set of pre-design services that design professionals can offer their clients to assist with this important decision-making process of defining the budget. Owners must also bring information to the table and be financially savvy with how they might obtain building funds, the timing of obtaining those funds and the amount of funds that they can bring to the project. The order of factors in this graphic can vary but at some point they have to come into alignment with each other. The budget must be realistic and be a balance of the owner’s desires/wants/needs, their level of taste/quality, their funds and the design solution. Champaign taste and beer budget is a common mantra; i.e. Champaign taste will not get far on a beer budget. There are usually not budget problems when you reverse the phrase. The budget for the Oklahoma City University School of Law project was challenged and torn between wants, needs and funds. The relief valves for the budget of the project occurred in broad sweeps of setting priorities. 1st Floor: houses some library, café, IT, computer lab, collaboration and study rooms. Minimize the level of finish out on this level, focus on meeting functional needs, defer finish-out of café to partnering with a vendor. 2nd Floor: houses main library and stacks, Law Review and Clinical Suite. Fully realize needs and design. 3rd Floor: houses Grand Hall multipurpose space, admissions, student services, career services, bar association, and some classrooms. This is the first introduction of the law school to future students and parents. Fully realize needs and design. 4th Floor; Dean’s office, faculty offices, administrative support. Minimize changes to this floor, utilize existing office layouts to the maximum extent. 5th Floor; houses majority of all classrooms, seminar rooms, trial court and group study spaces. This is the revenue generator for the school, where the rubber meets the road. Fully realize needs and design. 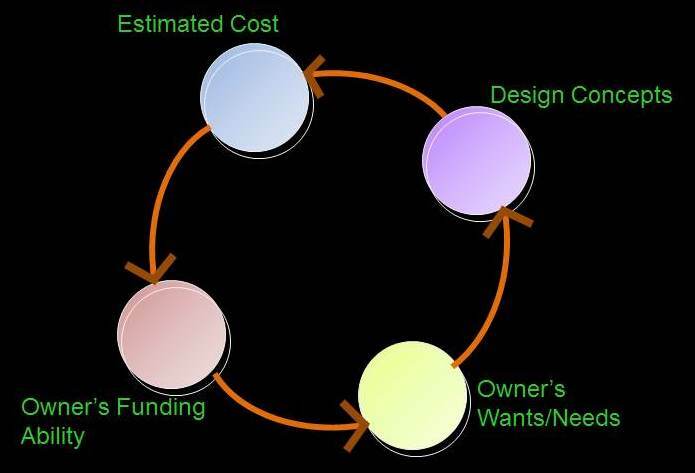 So design is a juggling act: Owner’s wants / design solutions / owners funding ability / cost with each item in the circle being redefined until all merge into one. When these items are not in balance, not in harmony, adjustments need to be made to some or all of the factors. There always needs to be give and take.